I want to learn german voice. I just loved the experience . I want to learn deutsch step by step from starting in contrast to English. Can you help me? I am going to college to learn but their teachers don’t speak English and I am unable to understand grammar specially. I am ready to learn but with the one who can teach me in English and who knows English grammar nicely. Can you help me, please? one small problem is there I am not capable to pay. This book is a good one for English speakers. 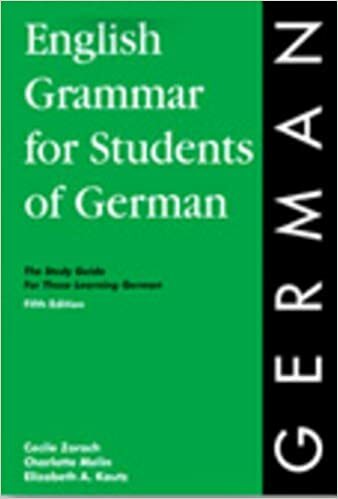 It reviews how English grammar works and then describes how German works in relation to that. You may be able to find a used copy or even an older edition for just a few dollars.